Narrowing down the cruise pictures is so hard! I'm tired. 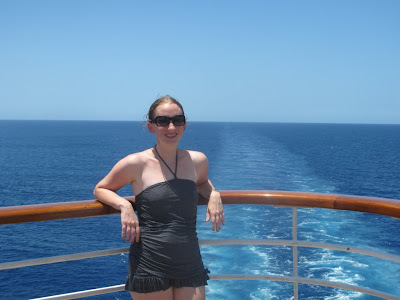 Anyways, here is batch one of the cruise pics. Don't worry, there are only 2 batches. I've managed to narrow down the pics I'm going to post to around 40(and we took probably 200 or more). The cruise was a BLAST. 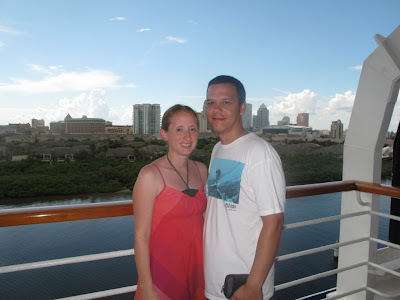 We will definitely go on a cruise again, if not fifty more:) It was the perfect mix of lots of good food, beautiful scenery, adventure, entertainment, relaxation and more. I would totally recommend going on one to anyone! It was a much needed vacation for the two of us. . .and sorry, but there will be annoying commentary on each picture! I have to narrate! Here we are saying goodbye to Tampa, Florida as the Carnival Inspiration sets sail. The adventure begins! Our room was actually not as small as I pictured. I thought it was perfectly fine. And I am so glad we ended up getting an ocean view room. 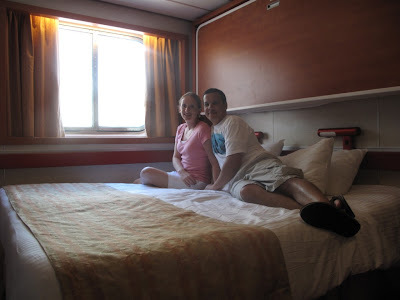 We spent plenty of time in our room(wink wink) and I loved waking up and looking out the window to see the ocean and where we were. I loved watching the water become more beautiful each day of our trip. Leaving the Gulf of Mexico, the water looked brown and blah. Once we entered the Carribean, it was so so blue and beautiful. 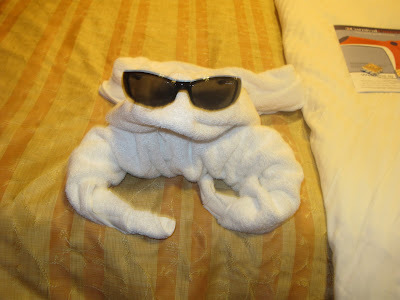 Each night we came to our room, a towel animal was sitting on our nicely turned-down bed. And the schedule for the next day was also placed on the bed. I loved it. I loved how I didn't have to ever lift a finger on that ship! No bed-making, no cooking, no cleaning, no dishes, no laundry. Nothin. Everything was done for us. Definitely a stay at home mom's dream. Joey took these pictures. Isn't this one beautiful? The first full day of sea was "formal night." 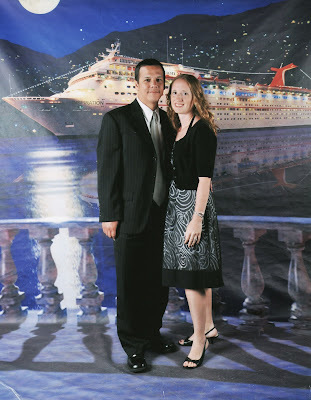 Here we are posing for our Cruise Prom picture:) Super lame backdrop, but we had to buy it. It was our first cruise afterall! 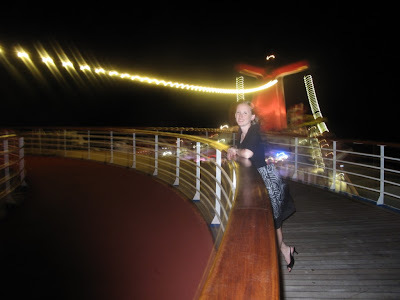 The top of the ship at night and a girl standing there. And here is towel dude #2....the lil froggy. Yes, I took pics of each towel animal. They're cute darnit! 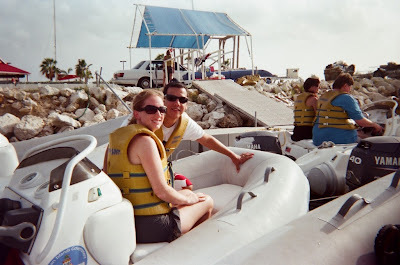 The next day we stopped at Grand Cayman. 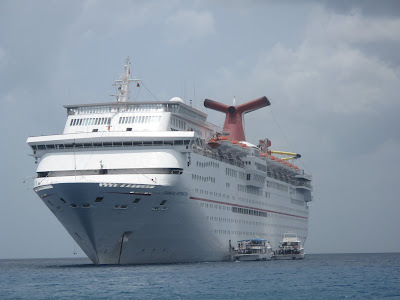 Joey took this picture of our ship after we took a little tender boat over to the shore. This was actually the first time I had ever seen a cruise ship, let alone cruise on one. A cruise ship is quite the sight. So massively huge! 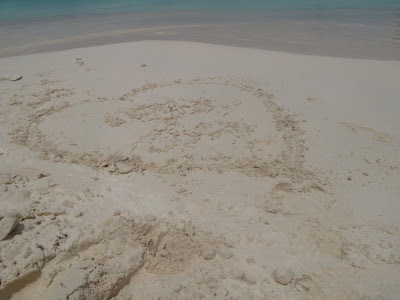 We spent some time at Grand Cayman's 7 mile beach-GORGEOUS! We had fun playing around, laying around, and finding neat shells to bring home for the kids. Cuddled up on the beach. We also decided to do an excursion while in Grand Cayman. Now this is a funny story(funny to me now, not funny to me then. 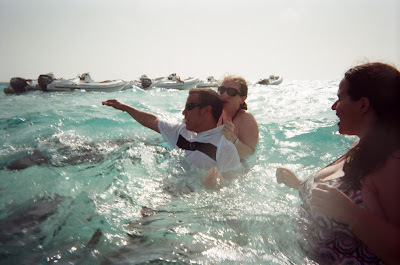 . .) We were with a group that did the speed boats out to Stingray City. We drove these little two man boats, as you can see in the picture below, out a few miles offshore. Well, the weather wasn't the best as far as the water conditions were concerned. It was REALLY choppy. So, basically, I was thrown around like a rag doll for 20 minutes on our way out to the sandbar. With each wave, we "flew" over(and I say flew because one time Joey was dying laughing because he said our engine actually came completely out of the water once and several times I literally flew off my seat), I was in pain. Whiplash like you wouldn't believe. 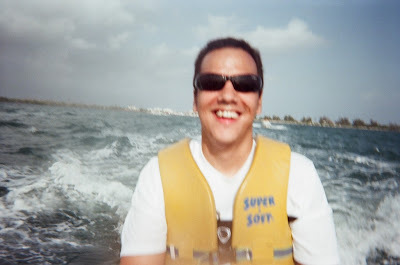 I was in the front of the boat hanging on for dear life! The next day my whole body was sore. Good times, good times. Here is Joey enjoying being the boat driver. This was before he picked up speed and I was actually able to turn around and take a picture. 5 minutes after this picture, I was flying all over the place. I actually lost my grip twice and almost flew out. Now, that would've been a great story. 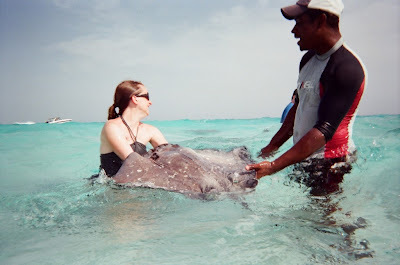 . .
And my story continues....well, I didn't think I would be extremely scared of the sting rays. I knew I would be a little bit frightened, but well, I was um, screaming. As soon as our boat stopped and I saw all of the shadows coming towards us, I panicked. Joey had to coax me out of the boat assuring me I could do this. And as soon as they got near us and one touched my leg, I screamed. Like a little girl. Everytime one touched me, I screamed and grabbed onto Joey. I think I hurt him. Here are pictures for your viewing enjoyment. . . I didn't know until we got home that Joey had given his camera to the tour guide to take pictures of me while I freaked out. Thanks Joey. :) Actually, I'm glad he did. I laugh so hard every time I look at these pictures of me choking him to death with his own shirt. I mean, wouldn't this kinda freak you out? By the end of the excursion, I loosened up and really enjoyed it. Really! I actually snorkeled a little bit. Watching these majestic creatures swim under the crystal clear water was amazing. The water at the sandbar was gorgeous. Here is a picture of Joey and I with a stingray smiling above us. And then one of me holding it-yes, I held one! 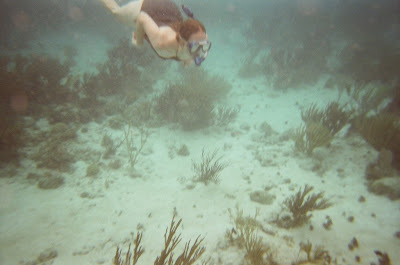 And here I am snorkeling at the coral gardens. We were able to see lots of beautiful fish and really pretty coral all around. I love the brainy coral(not sure what thats called, but thats what I call it). For some reason, I became nauseated after I dove down and snorkeled some. Not sure if it was the change in ear pressure or what, but that was fun. Another addition to the exciting day:) Ha! I almost puked in front of the whole group while they were snorkeling. And it would've been floating in the water they were snorkeling in. That would've been lovely. I can imagine the scene and one of the people saying,"Look at that beautiful fis...ew, whats that its eating?" LOL. I know, I'm gross. Hopefully you aren't eating while you are reading this. Grand Cayman was beautiful. The pictures don't do it justice at all. Seeing as that most of those pictures were taken with a crappy underwater camera. It was a once in a life time experience I will never forget, especially since there were so many "unforgettable" moments-hahaha. Even with all of the bad things that came my way, it was fun, really really fun. 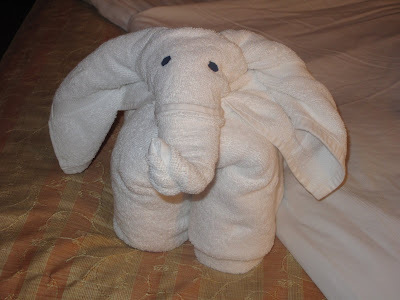 Oh, and I can't forget our towel elephant from night three. 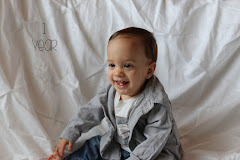 I thought he was the cutest out of them all. More pics coming tomorrow. . .
how fun! i'm glad ya'll had a good time. p.s. i love the towel elephant. love it!!! especially the sting ray screaming pictures. 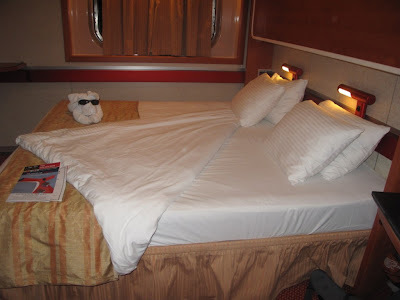 :) I just don't know if I could handle a cruise--I get sea sick quite easily---remember my catamaran ride---I was in the bathroom the whole time & drugged up on my second try at it---did you ever get sea sick?! amber, i really really doubt you would get sick. i haven't talked to anyone that has gotten sick on a cruise ship. the ship is so huge and it has high tech stabilizers, you rarely even feel it moving. you feel like you are in a huge hotel on land the whole time! we did feel the ship moving the last two days a little bit because of the choppy waters that day. but i didn't get sick at all. and i'm the type that gets carsick easy and needs dramamine/bonine for flights anywhere. if i can handle it, anyone can. These are delightful. The towels are hilarious. Loved the stingray pics, I seriously laughed outloud. 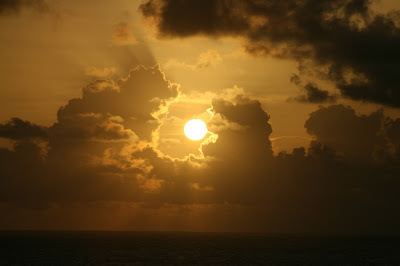 :) And those pictures of the sun coming up on the water were magnificent! Loved them all, I have to go on one now. Looks amazing!!!! i think you, me and mom should go on a cruise. a little girly cruise. mom sounds like she is scared to go on a cruise, but i bet we could talk her into it. they have these super duper cheap 3-4 day ones out of galveston during offseason. we should totally do it sometime! and if mom won't, you and i should! They say you can judge a cruise by the size of the window. Yours must've been heavenly! Those sting ray pics are classic and the towel animals are priceless. Did you ask for a folding lesson? 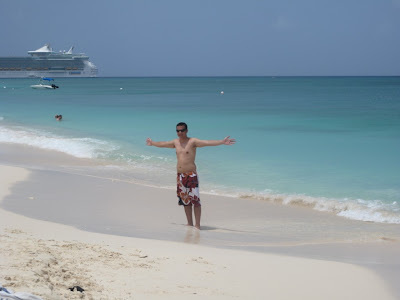 Aren't cruises just the best! I love the stingray part. You both deserved a fabulous break and some time together. Glad you had such a great trip. I'm so glad you and Joey had a wonderful trip. I loved looking at the pictures. 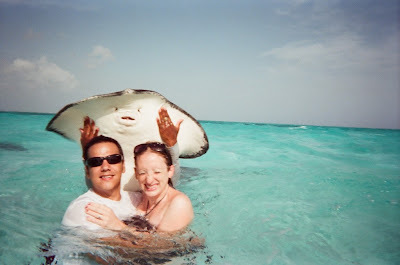 I was laughing so hard at the stingray pictures, mostly because I would have been doing the exact same thing. I can't wait to do something like that with Matt. The towel animals are so cute, too. Great pictures. I'm afraid I'd be exactly the same way if a sting ray swam past me as I looked at the pictures of the lot of them I got a chill down my spine and I just can't imagine being so close to them I'm afraid I wouldn't be very good in that water. Sunsets are so gorgeous. Isn't this great world beautiful. I am so happy that you enjoyed the cruise. Thank you for letting me book it for you. I am glad that it turned out so well for you. 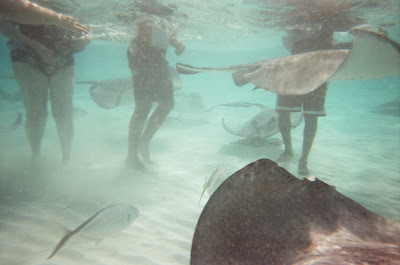 I can't believe that you swam with sting rays!! You are brave and I love the pictures. Congrats again to Joey on his graduation. That is a great accomplishment. 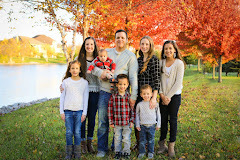 I can't wait to see the rest of the pictures. 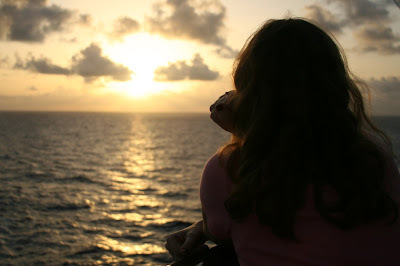 By the way I've found a great deal on a 4 day cruise to Mexico in Jan. for only $110pp(+fees) for an ocean view room. It leaves from Long Beach, CA. Want to join us??? I am laughing so hard at the stingray pics. Your expressions and Joey's near death experience ( the strangulation one) has me rolling. I am so glad you two had fun and great memorable experiences. I expect a phone call soon to hear all the details and I miss you!